DELRAY BEACH, FL: Mark Baron couldn’t help but smile as he checked out the freshly-released ATP World Tour field for the upcoming Delray Beach Open, which is scheduled for next month, Feb. 16-25, at the Delray Beach Stadium & Tennis Center. 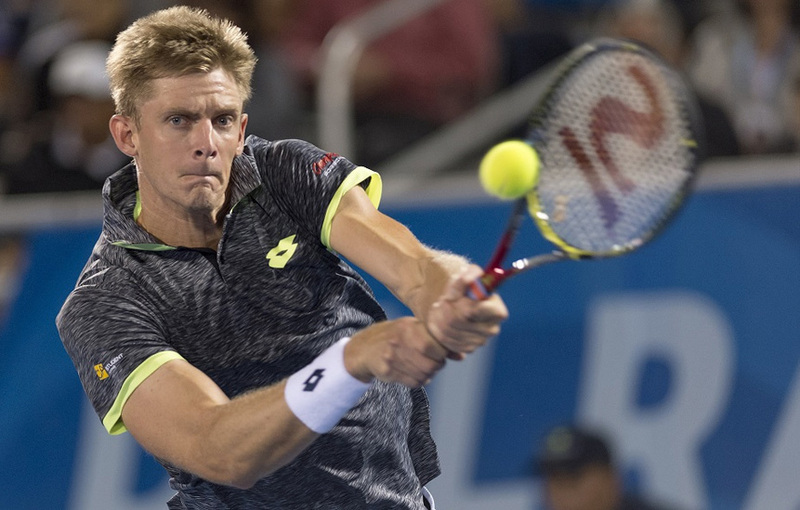 Baron had just added 2017 US Open finalist Kevin Anderson to the mix, giving his 26th annual ATP World Tour event four of the Top 15 players in the world, and six of the Top 25. “Adding the US Open finalist is just icing on the cake for us,” said Baron, who brought the tennis event to Delray Beach 20 years ago. “When you look at the quality of players on this list, it is amazing how far we’ve come. Tickets to watch the best singles field in Delray Beach Open history can be purchased online at Delray Beach Open Tickets, at the Delray Beach Open Box Office (30 NW 1st Ave) or by calling the Box Office at 561-330-6000. Among the 2018 ATP World Tour stars will be five former champions: Jack Sock (2017), Sam Querrey (2016), Ivo Karlovic (2015), Anderson (2012) and Juan Martin del Potro (2011). In Sock and Querrey, Baron has brought the top two-ranked Americans to Delray Beach, with the 25-year-old defending champion and world No. 8 Sock the tournament’s top seed. Anderson, the South African-turned Gulfstream, Florida resident who reached the Prune final last week in India, comes in at world No.11 followed by the popular Argentine del Potro at No.12 and Querrey at No.13. Delray Beach newcomer Nick Kyrgios, fresh off of winning his home country Brisbane tournament last week, checks in at world No. 17 with Canadian Milos Raonic currently ranked No. 23, though the former world No. 3 is returning from an injury-plagued 2017 and last year was the highest-ranked player to ever play in the Delray Beach Open. Baron also added rising Canadian teenager Denis Shapovalov to the early signing list, and those in tennis circles expect him to be in the “top players” conversation very soon. Additions to the 2018 field include four Americans—top 50 Ryan Harrison and Steve Johnson; 2015 Delray Beach finalist Donald Young; and 21-year-old “Next Gen” up-and-coming star Jared Donaldson. A pair of familiar Frenchmen are also in the field; world No. 28 Adrian Manarino returns for a sixth Delray Beach appearance and former semifinalist and two-time quarterfinalist Jeremy Chardy will be making his fourth run at the Delray Beach title. Two others are making their Delray Beach Open debuts: former world No. 8 and 10-time ATP winner Mikhai Youzhny of Russia, and “Next Gen” ATP Finals champion Hyeon Chung, a 21-year-old from South Korea. The Bryan Brothers will be leading the 16-player doubles tournament, looking for their fifth Delray Beach title and 115th ATP World Tour win. A complete schedule of all Delray Beach Open match times and pre-scheduled first-round matches is posted at 2018 Delray Beach Open Schedule. Raonic and Shapovalov play their first-round matches during a Tuesday (Feb. 20) “Canada Day” day session, while del Potro plays in the nightcap at 8:00 pm. The Bryan Brothers play in Wednesday (Feb. 21) evening’s feature match at 8:00 pm. The remaining spots in the 32-player singles field are composed of three wild cards the tournament still holds, two “special exempts” held by the ATP World Tour and the top four finishers in the Delray Beach Open qualifying tournament (Feb. 17-18).